If a diplomat truly is, as the old saying goes, “an honest man sent abroad to lie for his country,” then Secretary of State Mike Pompeo has earned his pay. His speech in Brussels on “Restoring the Role of the Nation-State in the Liberal International Order” deserves a State Department Distinguished Honor Award for Intellectual Dishonesty. “Multilateralism has too often become viewed as an end unto itself,” said Pompeo. “The more treaties we sign, the safer we supposedly are. The more bureaucrats we have, the better the job gets done.” Maybe I ran in strange circles during my eight years in the State Department, but few of my colleagues were in thrall to such simplistic thinking. Pompeo then hurled rhetorical grenades at a row of multilateral bunkers: UN peacekeeping missions don’t work; the Organization of American States hasn’t brought freedom to Cuba; the African Union doesn’t advance the mutual interest of its members; the World Bank and International Monetary Fund just make things worse; the European Union puts the interests of its bureaucrats before those of its countries and citizens. Admittedly, each of those institutions is imperfect. But none lives down to the caricatures Pompeo made of them. Finally, in his own Mt. Suribachi moment, Pompeo brazenly planted the flag of American leadership on an international liberal order. Wisely, he beat a retreat after his speech, taking no questions. So, let’s look at his points one by one. In attacking multilateralism, Pompeo claimed that the Trump administration’s mission is “to reassert our sovereignty ... and we want our friends to help us and exert their sovereignty as well.” Trump himself played up this same theme at the UN General Assembly in September. But it’s not clear that multilateral agreements and institutions have actually done much to abuse US sovereignty. The UN charter, for instance, clearly excludes intervention in any state’s domestic affairs. The US veto on the Security Council gives it an unassailable backstop. America has unrivaled voting power in the International Monetary Fund and the World Bank. For its part, the Trump administration hasn’t been shy about trespassing on other countries’ sovereignty. Trump has threatened to invade Venezuela and to punish South Africa for its land-reform policies. By the end of 2017, he had also sanctioned nearly 1,000 individuals and entities. Apparently, there are limits to how much other countries can “exert their sovereignty” within their own borders if doing so goes against the interests of the US. The liberal international order actually provides a legal basis for such interventions -- if, that is, you’re willing to uphold it and play by its rules. The UN Security Council has passed hundreds of Chapter VII resolutions authorizing action to “restore international peace and security.” Many investigations and prosecutions by the ICC, to which all NATO members except Turkey and the US belong, have advanced many US policy interests. Trump’s animus toward the World Trade Organization, for instance, ignores the better than average (and better than China) US winning streak in trade cases. At their best, multilateral institutions allow their member states to leverage national power. Twice in the last decade, the US Government Accountability Office has compared the cost of UN peacekeeping missions to US boots on the ground and found them to be a much more cost-effective alternative. Fittingly, two days after Pompeo blasted his hosts at the EU for shortchanging the interests of its members’ citizens, news broke of a massive, multination EU-coordinated raid on the ’Ndrangheta crime syndicate in Italy -- the kind of bust that no country can mount on its own. Do multilateral institutions need review, reform and renewal? Well, what institution doesn’t? And as the largest funder from 2014 to 2016 for 24 out of 53 leading UN and non-UN multilateral institutions (compared to nine each for Japan and the UK), the US has a strong interest in making sure they work effectively and advance the interests of member states. But the way to do that isn’t to browbeat them, or to take your ball and go home when things don’t go your way. For all the weaknesses of the UN Human Rights Council, the US withdrawal (Iceland took its place) won’t make it better, and makes it even less likely that offenders will be held to account. Moreover, China and Russia are busy building their own multilateral bodies or suborning existing ones like Interpol. Pompeo claimed that the US wants to create international organizations “that deliver on their stated missions and that create value for the liberal order and for the world.” But the administration’s drastic budget cuts to the State Department and international organizations and its preference for bilateral over multilateral deals suggest it would rather they withered on the vine. Equally toxic has been Trump’s disdain for the work of experts and seasoned public servants -- witness his recent repudiation of a searing US government report on climate change’s economic impact. One of my wonkiest jobs as a Foreign Service Officer at the US Embassy in Tokyo was to cover Japan’s conduct in commodities groups such as the International Tropical Timber Organization, the International Coffee Organization and the now-defunct International Natural Rubber Organization. I never became an expert, though I did come to understand why Japan has such good coffee. I did, however, develop a healthy respect for the wonks, nerds and gnomes who inhabit the multilateral garden, tending to their countries’ national interests while advancing the greater common good. They need and deserve your support, Mr. Secretary, not your contempt. 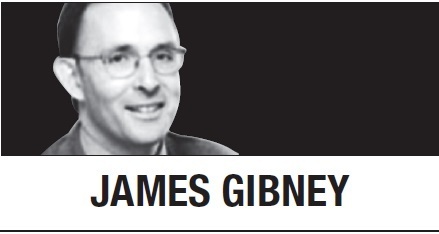 James Gibney writes editorials on international affairs for Bloomberg Opinion. -- Ed.